Q: What is the most common reason that you are sore? MTB: This would be a great question for my TMI talk show! Lol. But seriously, I should invest in Tiger Balm patches because, as a busy person juggling multiple projects, that is my saving grace for everything. Our current big project is preparing for the Big Wig Ball on January 12th, which benefits free Student Night at the Opera. It’s produced with the Sylvain Society (the Young Professionals group of the New Orleans Opera Association). My main career is as a makeup artist, which means I get to do creative, fun things with amazing people all day. There are no real negatives to the job aside from the physical labor. It’s not about about picking up a powder puff and being in a fancy room all day [laughing]. In addition being on my feet all day, I have over a hundred of pounds of gear including my rolling case, chairs, and extra equipment, especially during Carnival season. Most of this comes with me on location, up and down stairs, across festivals and photoshoots. But, it is always worth it. I am more than happy to do this for a job I love and am so passionate about. Q: What do you not consider a canvas? MTB: I graduated from the School of Art Institute in Chicago, which is known for fine and conceptual art, so the concept and meaning behind an art piece is just as important to its visual impact to me. So everything around us, including ourselves, have the potential to be an artistic platform. Additionally, I want my life and the way I live to be artful. If you think about your life in terms of your autobiography, I want every page to be a page-turner. Every day of your life has the potential to be experienced in a meaningful way. One of the best things I learned from my mother and grandmother is to appreciate the seemingly mundane things around you. Whether it is a rock or a tree or a person you love, you can really invest appreciation into everything, no matter how big or small. A lot of my artwork is relatively ephemeral. In the way that flowers are ephemeral and so you must take the time to appreciate them in the moment. So too are things like my makeup art or performances, because tomorrow these things are gone and live only in photos, video, or our memories. Purpose is equally important. If I’m painting a canvas, a person’s face, or the baking a cake, I care deeply about giving that action and result a purpose and positive impact. So, for me, everything’s a canvas. I love looking at life like a story and thinking about how to make life meaningful, impactful, and fun. Q: When did you get in trouble for your art? MTB: The first time I got in trouble for my art was when I was a kid. I loved drawing on the walls, and I especially loved writing with a ballpoint pen on my mom’s vintage wallpaper. To avoid punishment I wrote my brother or sister’s names on the wall. I am a classic middle child, so learning to get away with stuff was incredibly important. Unfortunately, I misspelled both of their names, so the culprit was obvious. I come from a family of artist and writers who are also politically active. When my brother was around fourteen–he wrote an essay about patriotism and read it at a political demonstration on the steps of the Art Institute. He spoke about how one’s patriotism needn’t be invested in a physical object, but rather in your heart and your actions. These thoughts are still timely as people kneel during the anthem, not to protest the flag itself, nor veterans (of whom we have several in our family), but to point out the inequality of civil rights as they are represented in this country. He got arrested for being part of a political activist protest through art. My family was and still is so proud of him for taking a stand for what he believed in. His work was an art piece that he presented it in a political and artistic environment, and he stood up for what he believed in. I thought he was the coolest kid ever. Q: Where would you bury a treasure? MTB: Since childhood we have been talking about this idea of ‘put-pocketing.’ The idea of putting something unexpected in someone’s bag or pockets. The concept came from the show Taxi. In that show Latka, played by Andy Kaufman, references a ‘put-pocketer’ putting something in his pocket. Since then, I’ve thought about how to put random treasures in people’s path. When I do that, though, I want to do it with purpose. One of my friends, Lauren Delaney George, makes miniatures as “L. Delaney,” and she’s absolutely brilliant. She has a spot on Magazine Street hidden in the Century Girl shop. 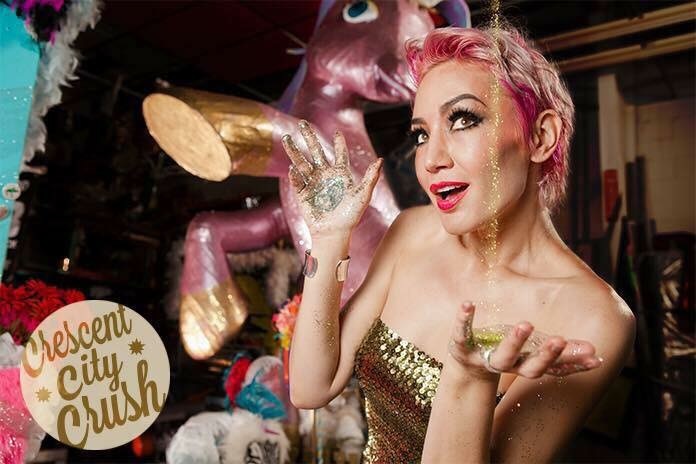 She loves New Orleans and history and has a project where she started leaving clues on her social media to find a miniature treasure she made and hid somewhere in the city. It often has a historical reference, so you learn something while you hunt for the treasure. I did a different spin on this, creating pothole art for WGNO Pothole of the Day. I did two installations (an enchanted first and a toxic Lake Ponchartrain that had Barbie fishing with an albino gator) in the pothole. Interestingly enough, the potholes we targeted and got filled that same day! The thing with public art, though, is that it holds a greater responsibility for purpose. Art can be beautiful in its own existence, but as soon as the art gets put in public, I think it then has a responsibility to consider how it affects the community. I love public and street art, and we are lucky to live in a city that embraces that in many ways. I just would love to see public art be even more considerate to those that can, do, or would view it. 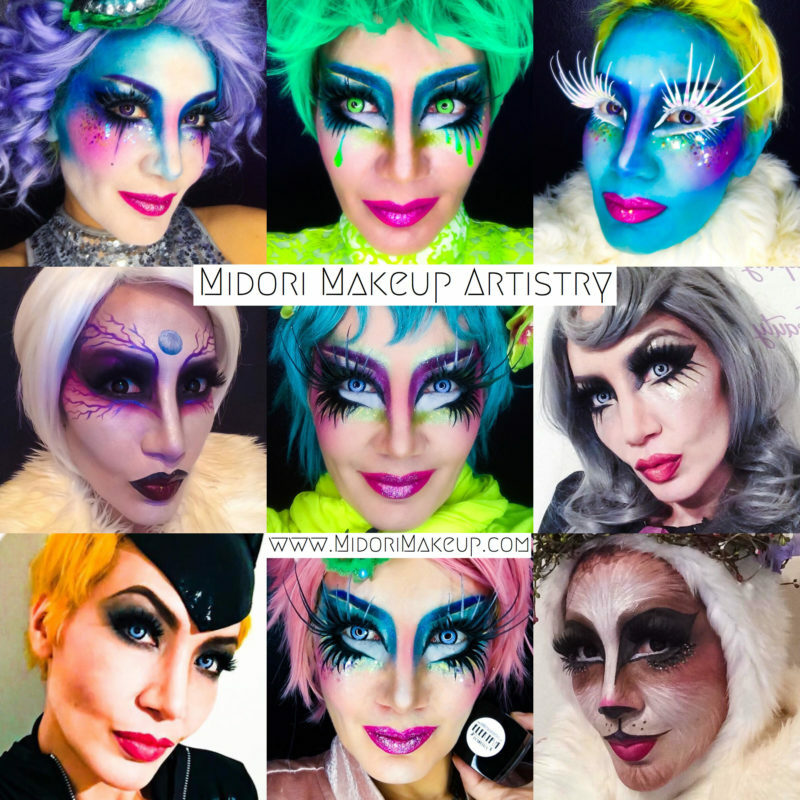 Midori Tajiri-Byrd will be showing her makeup artistry and costume talents at the second annual Big Wig Ball, which is on January 12, 2018. The Big Wig Ball will be from 7:00 PM to 9:00 PM at the Historic Opera Guild Home (2504 Prytania). The event benefits free Student Night at the Opera and is presented by the Sylvain Society Young Professionals and the New Orleans Opera Association. This year’s theme is “HAIRajuku”, like Harajuku, the historic fashion district in Japan! Think Tokyo pop art and colorful street fashion! Guests are encouraged to wear costumes and wigs and can participate in the the wig contest to be crowned “Big Wig 2018”. 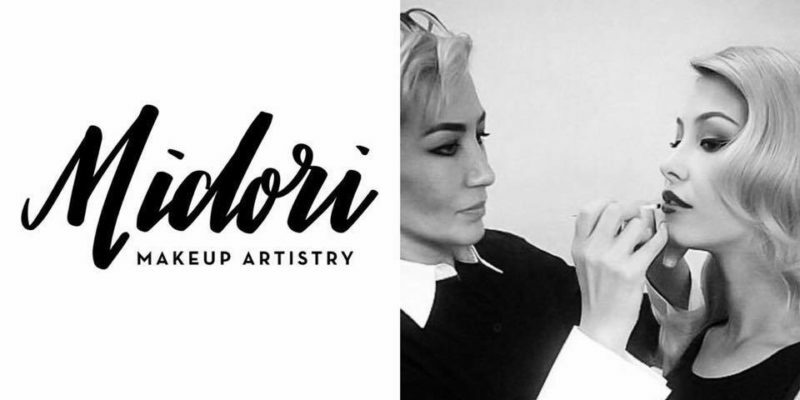 You can buy your Big Wig Ball tickets here and find out more about Midori and her work on her website, facebook, and Instagram.